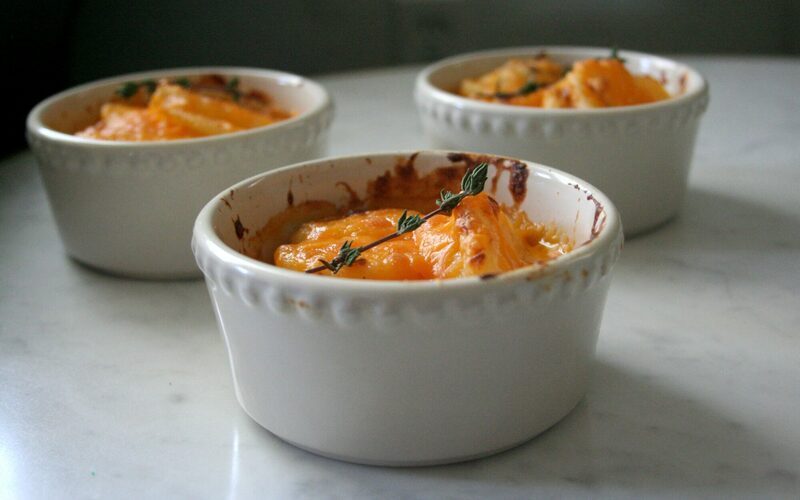 When I think of meals made without recipes, I think of potatoes au gratin. While this may not necessarily be a meal to most people, I have definitely eaten my fair share of potatoes au gratin for dinner on Sundays after long days of work and studying. Plus, I’m pretty convinced that if you add bacon, it qualifies as a meal (probably). 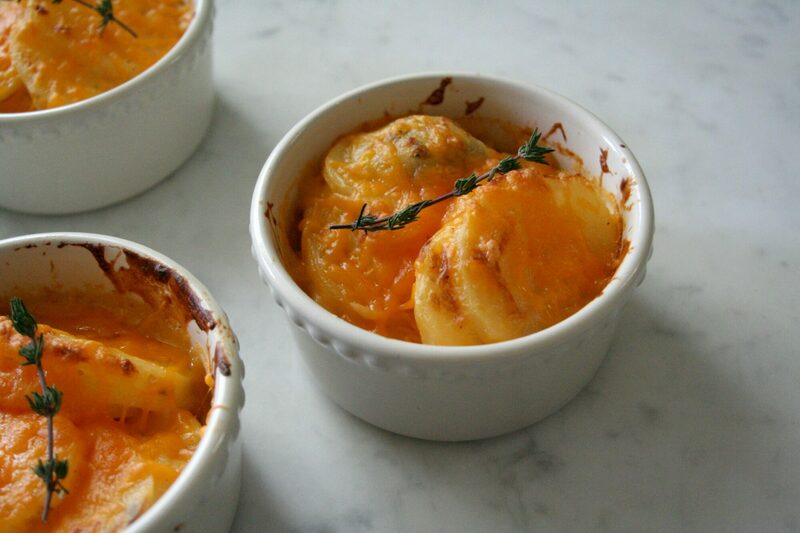 However, I’m always a fan of potatoes au gratin as a side dish too. 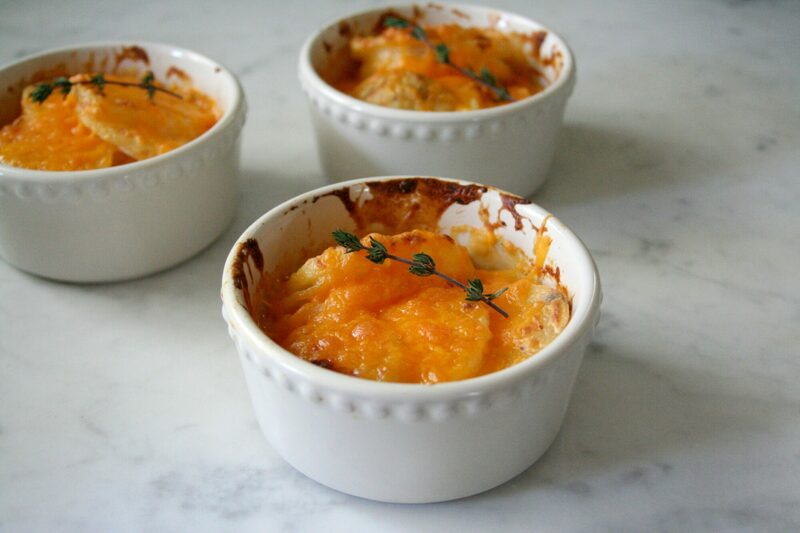 Essentially, cheesy potatoes are always a good idea. With Easter around the corner, I was also hoping to post a nice Easter-y recipe. 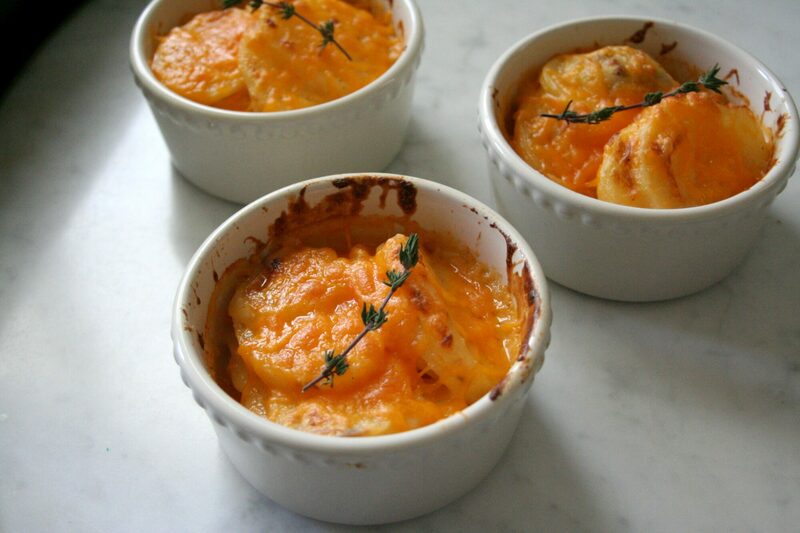 In my family, Easter always involves potatoes + cheese, and since I was already planning on making potatoes au gratin for my failed (Not)Recipes submission, it seemed like fate, or at the very least, convenient. 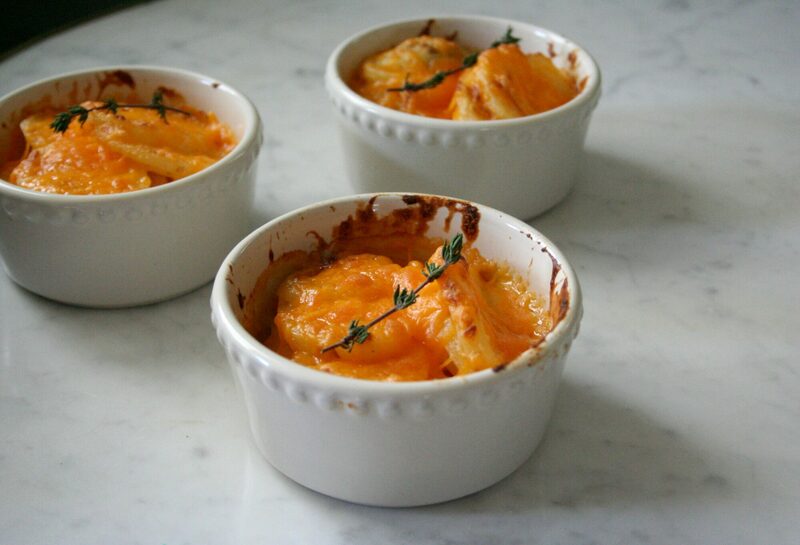 Potatoes au gratin are perfect for Easter Sunday, but you could also add leftover ham as an easy weeknight meal. Definitely not a healthy dinner route, but sometimes potatoes, cheese, and ham are necessary for getting through life. Growing up, my family always celebrated Easter with a nice brunch or dinner, and the Easter bunny left my brother and I presents on the bench on our front porch. We almost always got a VHS tape, new shoes, and some Easter candy in our baskets. Sometimes we would get a small toy to play with, and I distinctly remember getting a lime green Skip-It one year. My parents recently decided to move back to their hometown of Reno in the next couple of months, and today I found out that they accepted an offer on my childhood home. The sale is incredibly bittersweet, since my parents will be much closer, but I also will be losing the home that gave me the best childhood memories, such as hunting for Easter eggs or playing with my new Skip-It. Today has been kind of sad, but I know that I will always fondly remember cheesy potatoes on Easter, opening Christmas presents with my little brother, Thanksgiving family dinners, and all the amazing memories I had growing up with my friends and family in that home. 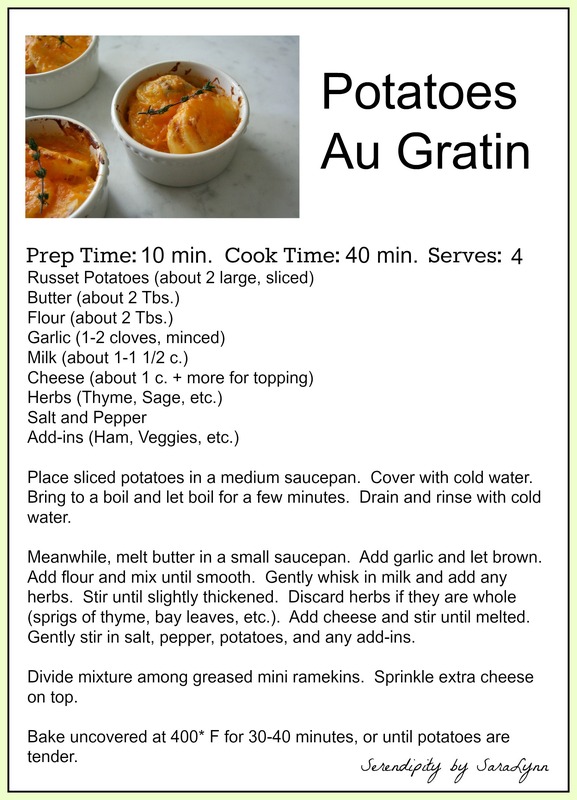 Thanks to Potatoes Au Gratin for the nostalgia! *Note: When I made this recipe, I just threw all the ingredients together, but in the recipe I included some approximate measurements from potatoes I have made in the past. 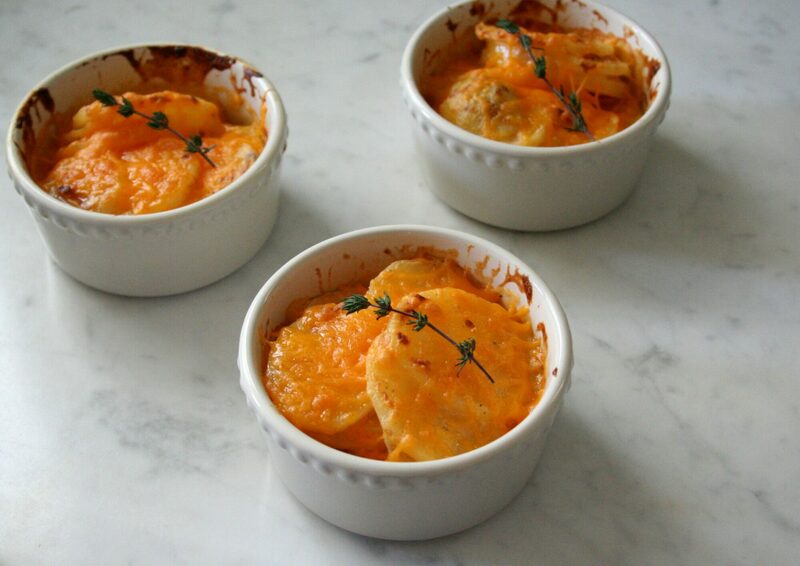 For this recipe, I used thyme and cheddar cheese, but the recipe can be adapted to use whatever ingredients you want.